I know you’ve gone over this and over this. I’ve read all of your posts about white and love them. However, I’m still driving myself nuts. My husband is no longer talking to me and the dog runs for cover every time I take out my paint brush. I would ask you to do a paint consultation, but I’m afraid that you’ll write about this crazy lady on your blog. Never mind. I am crazy. Stark raving bonkers. Please, please make it stop. Just tell me the ONE color; the one white trim color that will look good with everything! There, there now. Why so glum? oh, here she comes again, let me go grab the spit bucket………………..
Then, in a torrent of, “I’ve-got-this,” I mixed TWO Pratt and Lambert whites together. Really not necessary and it wasn’t really that great, either. That was 19 years ago. Since then, after helping 100s of people select their white trim color, I got a lot better at it. After a while, I began to realize a few things when selecting white trim color. I generally stay away from cool, icy whites– just because I don’t like them. I mean that in the most loving way, of course. Just stop it. Stop driving yourself nuts and here is why. A little secret that’s going to shock the drop cloth off of many a color guru. A lot of the time, it really doesn’t make that much difference. What, are you some kind of a sadistic freak, Laurel? Stop messing with me! Haha! Okay, freak maybe, sadistic, never! I’m completely serious! Based on experience, I have found that a number of trim colors will do just fine in a lot of different situations. And they are the ones in this post about the only six white trim colors you’ll need. There, doesn’t that make you feel better already? I mean, does your pearl necklace only go with one outfit? A photo I took two summers ago at a beautiful inn in Boston while visiting my son. The problem is… well, it’s simple. There are just way too many whites to choose from. We could get rid of 3/4 of them and still have more than enough to choose from. Please see 20 great shades of white paint. And then you read something that buys into your fear that you’ll make a mistake. And maybe you did make a mistake one time. Did you learn from it? White is the most reflective color. It’s reflecting light. The light changes color. It’s like the sky. God didn’t expect mom nature to pick just one color for the sky. Right? And that sky, clouds, exposure is going to change your shade of white throughout the day. So, while it may be the most difficult color. It’s also the most forgiving color. If you stick to the warmer whites, you’ll almost never have to worry about icy, unless the contrast is too great. But maybe you want that stark contrast! The issue here is that you want only one color for the entire home. This is a very valid point because then you don’t have to rack your brain. (as much) :] So, one day, your three-year-old decides to practice his writing on the wall with a sharpee. You’ll probably want to touch that up. Now, you’re racking your brain–was that the mascarpone or the creme brulee? Oh wait no. It might’ve been swiss coffee… Life is confusing enough. I usually recommend sticking to one or two trim colors throughout the house if possible. If you only want one trim color, then what needs to be taken into consideration are the kitchen and bathrooms. The cabinetry needs to match the trim– or at least be very close. Toilets, bathtubs and sinks are usually pretty white. No, the paint doesn’t have to be an exact match, but of course, it needs to coordinate. That means one of the whiter whites. For bathrooms, plain old Benjamin Moore White, usually looks pretty durn good. My bathroom is this color. Why? Because that’s the way it came. In fact, the trim all throughout the apartment is painted in plain old white. The reason I didn’t change it is because I wasn’t sure what I wanted to do and, I hate gloppy trim even more than trim that’s slightly off-color. So, is plain old outta the can white, the IDEAL trim color? Well, it’s in the top 20 best white paint colors because with a lot of colors it looks pretty good. However, sometimes it looks very stark and sometimes it looks a little dirty. Plain white actually has a good amount of gray in it. So, that leaves about eight other possibilities for white wall or trim color if you are only using one trim color in every room in the house. So, which one which one? Here’s what you do. take eight pieces of paper with the names on them, put them in a hat, close your eyes and pick one. OR, play a game of eeny-meeny-miny-mo. Oh, Laurel, please stop being so glib and tell me the best one!!! Gee, sorry. I thought I had made my point. They are ALL the best one. Yes, in some situations, some are going to be a bit better than others. However, the differences are so minute that the average person will not be able to see the difference. Did you hear me? The average person will not be able to see the difference between the colors above. And only you, (and your mother) are the only ones who even care one hoot. But you want only one trim color. Go with Cotton Balls OC-122. Yes, yes? Why Cotton Balls, Laurel? Well, you asked me to pick ONE. I’ve used it many times with both light and dark colors and it’s never failed me. It’s warm and soft, clean and bright and not yellow. Stop looking at me like I have six heads. Last time I checked it was only three. Is this the worst problem you have? Please. Little Smile? By the way, just in case some of you don’t realized, OCD is not a REAL person. Or if she is, she’s really me! I totally understand the anxiety that comes with selecting colors, especially white! But I had a teacher in design school that tried to set me straight. it took me a while to fully get it. What about the rest of you? Is there a favorite white trim color/white wall color you have. OR, one that didn’t live up to its promise? I’d love to hear your opinions about THE most difficult color. And if you liked this— please feel free to share! Do you love white on white as much as I do? please enjoy the following grouping of white on white home furnishings. For more info about the products and their sources, please click on the individual images. PS: If you’re still not convinced, please check out this post about the only six white paint colors I’ve ever used. I love your blog, it could have saved me hours of obsessing if I found it earlier! Should the trim/ceiling color closely match the cabinets when doing white? Thank you Laurel for your articles on the right whites to use. I actually used BM cotton balls on most of the walls in my house since the color was such a pretty white that I felt I could live with forever. I used BM chantilly lace on my trim, but that’s because I like the white on white look. The most important part was when you quoted your art teacher and said it wasn’t brain surgery. That made me lol. Thank you for this blog post. Cotton Balls was the answer for me. I thought I was losing my mind, trying to pick white trim for four different spaces with different wall colors, I really, really wanted to just have one color of trim to simplify things a bit. Thanks for the tip. Laurel– I completely understand and I’m a medical provider so I totally get and love your analogy regarding the doctor needing to see you to diagnose! I don’t think that I said that white dove does not work in north facing rooms, because I have used it in north facing rooms. The only thing is you need to be more careful that the lighting doesn’t bring out too much of the gray. But it can also look starkly white. Light is tricky. You need to test. White is a warm, soft white and works very well with most colors about 95% of the time. But so do a lot of the other whites I recommend. The only time it doesn’t work as well is if the color is very clear (no gray) and it makes the white look gray and dull by comparison. I’m a big fan of neutrals, usually going with BM Revere Pewter on walls paired with White Dove trim. We just moved to a new home and painted our bedrooms those colors but the kitchen and living room get so much beautiful natural light that I want to go lighter and brighter. Trying to keep the paint colors tied together a bit, do you think White Dove walls would pair nicely with Simply White trim? I see they both made your best whites list. And I’m thinking this is a good pairing, but I’d love to know your thoughts. Thanks so much for your time and thank you for all your great design advice! Love reading your articles. I wish I could help you, but I’m no longer doing any kind of interior design work or consultations. In order to give you sound advice, I would need to be standing in your room to see everything. No worries. It is no exaggeration, that I am asked these kinds of questions some 40 times a week. And that’s on top of other comments. Thank you for your understanding. For more help, please consider purchasing my paint product. I have 12 terrific white colors. And 132 other colors as well. If you scroll down a little, you’ll find the paint info and where to go from there for more info. I’m excited to have found your blog! I am in need of advice. Two years ago I painted all the trim in my house BM mascarpone. I feel it has looked nice with my BM cream fleece walls. Now, I’m painting my kitchen cabinets and am adding wainscotting in the adjoining room. I keep reading that I should stick with my trim paint for my kitchen cabinets. I was hoping to go a less creamy on the kitchen cabinets and paint BM simply white. Would it look alright if the kitchen cabinets are different and less creamy than the trim? It gets really tricky especially with the new wainscotting going in. What are your thoughts? Thank you for your quick response! Have you seen BM Mascarpone on kitchen cabinets before? Does it look very creamy? I was hoping that because it is large area does it would look more like white? I had wanted to put a marble like quartz on the countertops and worried that it wouldn’t look good with creamy cabinets. I just finished painting a 1200 sq ft living room/entry ceiling in Simply White (previously painted White Dove). I have to say, if you can get excited about a ceiling paint, this color is AMAZING! Now, the BM Ceiling Paint #508 does not cover a perfectly smooth ceiling in 2 coats, 4 coats for this ceiling, but once it does…WOW! Totally worth it. Ceiling throughout the house will now be Simply White with White Dove for trim. I’m in love with Simply White now. These two rooms will be Revere Pewter on walls, one rooms opens into a dining room painted in Restoration Hardware’s Slate (I love, love this color). Okay, I need to temper my ceiling paint excitement, because I really do have a question buried in here for you. I need to paint a mudroom that is off of one of the Rev. Pewter rooms. It doesn’t have good natural or overhead lighting. My initial plan was to do Rev. Pewt. in this room as well, but the samples seem very dark in here. I don’t want to go 50% because I am still trying to bring out the gray more than the beige. I am wondering….Revere is a warm greige, so could I go with something in a cooler gray that is lighter? I just don’t know if a warm greige to a light cool gray would look awful. Normally I would just try it, but I am running out of time before the holidays with trying to put our house back together after some major water damage/flooding. I was looking at BM Gray Owl, and also Sherwin Williams Agreeable Gray. So what do you think about combining a warm/cool in rooms that directly open to each other? Do you have a favorite? I don’t think anything because I am not there to see what else is going on. I don’t know what style your home is… what the light is like… what part of the country… what your furnishings look… floor color… ceiling height. Are there mouldings? How large are the doorways? I could keep going. I say this over and over, dozens of times a month (!) but it is impossible to give advice like this unless I’m there, and if I were there, there would be a hefty consultation fee. The only thing that’s free on this website is the blog. Close to 350 posts that I’ve spent thousands of hours writing. I stumbled on your blog, and now I’m hooked! I hope you can help me. I have struggled to pick a nice rich gray that would look good with our furnishings, and found BM Revere Pewter. I read your recommendation for BM White Dove for the trim. All of the pictures look clean, crisp and exactly what I am looking for. My question is, what color would you put on the ceiling? This is a family room with large windows on the north side, but this is the only natural light. I tried a swatch of White Dove on the ceiling, and it looks dirty. However, it is up against a bright white. Also, I would like to use the same trim throughout the house. 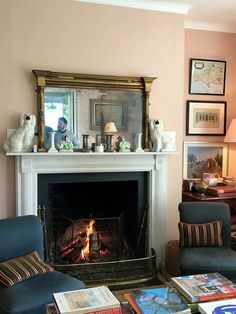 I have Ralph Lauren Plantation in the living room, and will be refreshing the walls in this color again, but would like to paint the ceiling and trim as well. Could I continue with White Dove, & the hopefully newly recommended ceiling color in this room also? Completely understand Laurel. I was thinking this would be a slam dunk for you and you would say, “Dove White everywhere”, lol. That would have been too easy. Now, I think I might get better help from my doc if I actually could do my diagnoses by phone, lol. Appreciate the response. I may just wing it and do the walls in Revere Pewter, trim & crown in white dove…and get crazy and do the ceilings in white dove also for lack of knowing what I should do here. I did it, decision made…he says hesitantly. Simply White for ceilings, White Dove for trim, and the much overdone, but very perfect for this room, Revere Pewter for the walls. Thanks Laurel! Who knew that the color white could be so difficult! You’re right, I’m sure the ceiling will only stand out to me while I am staring at it obsessively as the light changes throughout the day, lol. I have never yet painted a ceiling in standard “ceiling white” from the can. I certainly can’t bring myself to start now! I’ll be slinging a few coats up soon, in either Simply White, Cotton Balls or White Dove. Knowing me, I’ll paint it several times until I’m satisfied, lol. I am fascinated, because I just had a painter tell me to avoid cottonballs, because it takes 5 coats, even when he paints it over white. I did my bathroom trim in simply white and it was a little too yellow for the toilet white, but it was beautiful and I only noticed that fact for a few days. We are renovating our entire main floor with kitchen. It is hard to choose btw WD or Cottonball for kitchen cabinets and trim. Which would you use if the wall colour in the living room was Classic Grey? We do not have a lot of light in our front entrance and hall way, however we have a lot of afternnoon light in living room and kitchen. We are using calcutta nuvo quartz with a creamy white tiled backsplash. I am sold on Revere Pewter for a body color in my south facing kitchen/great room and either White Dove or Cotton Balls for trim & base. Do you think either would work? I like the idea of the warmth of CB. Would you recommend sticking with same color for ceilings? Thanks in advance for your great site and if you are able to assist on above decision. Either would be beautiful. They are both warm soft whites. I have used WD with RP and they were gorgeous together. It depends what else is going on like the other finishes in the kitchen, for instance. I am sold on Revere Pewter for a body color and either White Dove or Cotton Balls for trim. Do you think either would work? I like the idea of the warmth of CB. Would you recommend sticking with same color for ceilings? So helpful reading that Cotton Balls is a go to color… bit will it look to Murkey or not POP enough with bm Grey Owl wall color ? Stop watching HGTV!!! lol, No really. It’s not your fault because everyone says it. However, the word “pop” is one that I never heard before all of that mediocrity hit the air-waves. (not all shows are bad, but too many are). Why do you want your moulding to “pop?” I don’t mean that in a disparaging way. Obviously, you want it to show up. It will. It will, even IF the moulding and walls are the same color. In fact, I think that’s the most beautiful, sophisticated, traditional (yes, traditional!) way of painting. And I’ve posted about this. However, in answer to your question, Grey Owl will be beautiful with Cotton Balls. And no, it will not look at all murkey. Of course, I can’t see the light in your room. That is a different subject because light CHANGES. 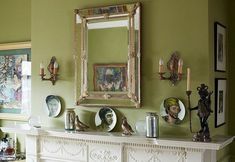 I have a client who recently painted her dining room tone on tone cotton balls and sometimes the walls look like a very clean white and sometimes more creamy. The living room across the center hall is also painted the same and it’s the same situation. But because of different exposures, the adjacent sunroom and vegetation, is somewhat brighter in the living room. The entry trim (with wainscoting) is also CB with Classic Gray walls and it’s gorgeous. Terrific! Yes, I would paint the bookshelves in cotton balls. I used to always specify the alkyd formulation (oil-based) but it is difficult to get in some states. Reports are good for the Advance which is a “water-born” alkyd. To me, that sounds like an oxymoron, but apparently, the brushes do clean up with soap and water but the drying/curing time is the same as oil. Hi, thank you for this topic, cotton balls now on the radar. The question I have, which seems to rarely be addressed on paint blogs, is: how to pick color–white in this case– for transitional spaces. We all have those rooms, south facing windows that lead into north facing hallways, or north facing rooms that bleed into a south facing room, etc. So…how do we pick a white that looks good when traveling through the space? I’m not so much along for specific colors (it’s probably cotton balls 😉 ), and more wondering if there is a rule of thumb? Particular undertones to look for? These are all good questions. However, I don’t ascribe to the theory of undertones quite in the same way as others do because colors whether over or under as some say, change with the LIGHT. And one might not always like the way a color changes. That’s life. Cotton Balls is one color that looks good in all lights. I am one of many who have painted, repainted, have enough paint samples, in every brand available to me, to paint the entire house, if I were going for a patchwork look, and finally settled on the perfect white for me. I have, also, played the same roulette game with reds. Again, the perfect red for me is SW Positive Red. I painted my house this color and love it! Thank you for your humor and insight, it made my day! That’s great to know. I’ve never used snowfall and probably because it is so similar to some of the other whites I know and love. Your site is amazing and you write so well! Thank you. Thanks so much. Actually, when painting walls any white, I generally use the same color on the ceiling and trim, but in a semi-gloss for the trim. Flat or matte for the ceiling and matte for the walls. Matte is washable, so there’s no need for eggshell. Glad to help. It’s funny, but a few months after I wrote this, a client chose this color. I gave her two possibilities and she chose cotton balls. Soooooo.. the painter comes over and starts priming, patching, etc. He tells MY client that she shouldn’t paint her walls white and the trim white. She SHOULD go with a creamier color on the wall. It’ll be too stark. Still… A little seed of doubt crept into my head. Of course it did! I went over as he had painted a large swatch on one wall. He painted the entire room. Actually two rooms. Living room and dining room and it’s gorgeous and the client is thrilled. Oh my, I have to begin with a digression: the SNIRT problem is worse than anything I’ve ever seen here in the Midwest. I do like the cream-colored trim+walls. I will keep this in mind for the next project…which may not be too far away. The trim color is great but the company hired to do the trim / doors didn’t do the best job (we sent them packing before they finished) and so now we will be doing large parts of it AGAIN and it may mean redoing walls, not just trim. Sigh. If it’s not one thing… I will try to see it as an opportunity. Hi Lauren. Love your website! The rule of thumb is that anything that is wood including the beadboard and trim is painted the same and usually in a semi-gloss. Satin is okay too if you don’t want it quite as shiny. The ceiling should be flat. They’re not the best photos because they were taken with my phone and it was getting a little dark, but it gives a pretty good idea. You have two viable choices. One, live with icy-cold white pvc window frames and choose a white that’s not too yellow like white dove would be. Decorator’s white would probably be a better choice or maybe you could get away with simply white, but still might be too yellow. you can paint the PVC. I know, very rad, but anything can be painted with the right prep and the right paint. AND the right painter who understands all of this. There are actually companies that specialize in this sort of thing. Here is a discussion that might have some helpful information in it. The option I would not opt for is to match the ugly vinyl. You’ll never be happy. I think it really depends what else is going on with the room itself, the size of the windows, height of the ceiling, other architectural features, floor color, other materials and then the furnishings. That probably doesn’t help with your stress. But it’s like this… I have a website. It’s stressful. I don’t always know what I’m doing and so I get some pro help. Thanks for responding! I think that’s the best part. So many times you can ask questions and never get a response!! Thanks! I very much appreciate the comment and wish I could help everyone! the parameters for commenting on the paint posts. Believe me, you are not alone! I get dozens of requests every week and some of them are about 20 times the length of what you wrote. No joke! It’s impossible to recommend colors without seeing everything that’s going on and it’s a big deal with photos and so forth. And of course, a fee. If you are struggling, may I suggest hiring a pro to help you sort it out. I’m not able to handle any more work at this time. I can’t give you specific advice but I can tell you that you are on the right track. And BTW, Swiss Coffee is one of nine shades of white in my paint color collection that’s due out around March 1st. Thank you for your blog – it is delightful! I understand you recommend flat for ceilings, matte for walls and semi gloss for trims. What finish is normally recommended for doors and cabinets? Hi there! My daughter wants BoHo Glam for her new Beverly Hills apartment. She wants to paint her walls beautiful white instead of the current beige. I love the way she’s thinking! I see Benjamin Moore Simply White for her walls but what about her crown moulding, baseboards and fireplace, etc. – e.g. the trim? What white would you use or would you use Simply White on all? Thanks much! Looking forward to hearing from you. That is so kind of you Matt! I won’t worry if I don’t see you. My philosophy in recent years is to keep my expectations low. That way, I’m not disappointed. If things go nicely… well, it’s a gift. That’s all. Do you have an opinion on a specific creamy white trim? I want my home to read soft and welcoming. Concerned doing all linen white will be yellow/dingy?? We are doing a farmhouse colonial, big over-mortar stone and off-white siding. I love your suggestion of wall, trim ceiling the same but different finishes; but the rooms you show could be beautiful if they were painted purple! 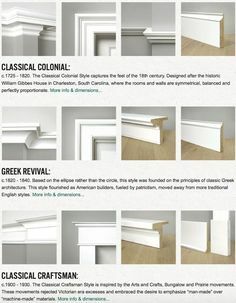 Those moldings are gorgeous. Can a house with large baseboards and substantial crown, but no floor to ceiling moldings pull off the singular color? I’m leaning towards linen white but thinking it may be too yellow. IM trying to trust the many professionals that love linen white but I’m considering timid white too. My builder doesn’t want to do a blend so the go to 50-50 linen/white dove is out. What color off the charts is similar? I’m so over the trim “popping” and stark white seems dated to me. Looking for that aged sophisticated white that won’t look horrible in my bathrooms. Thank you for this post! I also love follow your blog religiously. Yet another crazy white paint experimenter here . . . I have decided on Cotton Balls for my multi-purpose livingroom, which is quite long and serves as living room, dining room and den. Because it is broken up by different groupings of furniture as well as four gorgeous turn-of-the-century window frames, I was wondering what you would think about doing walls and trim in same color. I am looking for some uniformity. Right now walls are yellow and trim is white and the entire room looks very choppy. LOVE cotton balls – it is the perfect white, and I have looked at a lot of rooms that do the mono-color. Just worried mine won’t turn out the same! FYI, this is a back-of-the-building apartment, south facing, tall ceilings, but only gets afternoon light. Thank you so much! Are you near Gloucester? I had the best pastry I’ve ever eaten in my entire life there two summers ago. My son lives in Boston. Well, I think that it’s fabulous to paint the walls in the same Super White just not shiny. I had white on white (same color) in my old home and loved it! I prefer the matte formulation. It is flat but washable. I found your blog as I’ve spent sleepless nights trying to decide on paint colors for a new (old) townhouse that we are renovating. I’m afraid that my painter is going to start yelling at me in broken Italian if I don’t make up my mind soon. Currently the trim and kitchen cabinets are a bright white, so I would like to go with Super White trim, but can’t decide on a wall color for most of the house. I am using a light blue in the master bedroom, as I’ve used that color before and love it. We only get morning and late afternoon sun, as we are end unit with the majority of the windows facing north. I thought I wanted to go with China White until I saw that you don’t like it, so now my husband said that I can go with a white wall (as I am a black and white person). Any recommendations would greatly be appreciated!! I’m a big fan of your blog and especially love your tutorials on whites! I was wondering if you are a fan of doing the same white color for walls and trim, for example BM Cotton Ball on wall in eggshell and BM Cotton Ball on the trim in semi-gloss? Or would you recommend using different but coordinating whites? Thanks!! I just found this great site and have now gone back over many postings – fabulous and will a regular for me! I found you as I am looking for a great, soft white for a room with huge windows and southern exposure but no direct sun because of mature tree!! Currently has a yellow (past owner) that I don’t care for. First of all, I heard that you were speaking to a colleague of mine that I know from a facebook interior design group! That is just too, too funny, but proves what I always say… There really are only about 500 people in the world! Thanks for the reply; yes, the detail in that picture is exquisite! And, yes, I met this wonderful woman that knew exactly who you were, etc. That was exciting. Small world. She was just great and very helpful. Read your most recent post and so sorry you are having difficulties! “Crazy” doesn’t quite get close to that sort of thing. I’ll be a regular now that I’ve found your wonderful blog! Thank you for another great post. I’m a big fan of your blog and your straightforward approach to decorating. I recently spent two months agonizing over paint for my living and dining rooms – but never questioned the trim color- my standby white dove is in every room of my house. It worked fine when the rooms were neutral with dark brown accent wall. Looks great with the new colors- two shades of gray blues. When I had the exterior of the house repainted Gettysburg gray- I went with white dove trim once again! So much prettier than stark white. Thanks for helping to keep us all sane! That is all so cool! I love white dove too and I grappled with the decision with selecting the ONE color. The only reason I didn’t pick WD is that in north facing rooms, it can look a tad gray. Normally, that touch of gray is what keeps it so soft and pretty. Thanks for the great comment! Not everyone feels this way, but I adore it when the trim and walls are the same color. I think it’s a very sophisticated look. Not that a contrast is not, it’s just different. The important factor in selecting a trim color is to be sure that the undertones compliment each other. For instance if you have blue gray undertones in the wall color, you wouldn’t want beigey-taupe undertones in the trim. Thank you so much! This is a little bit funny, but my old home was painted entirely China White. Now, you are suggesting it as a trim with gray colors and I can totally see that working as a soft, warm compliment to those colors. However, as a wall color, it was not-so-great. Especially because I also had to endure rose colored, yes rose colored wall-to-wall carpeting for FIVE years. The combination was totally barftastic. Forgot to say what I actually wanted to say in the beginning… You are SO right that the colors one chooses, in the big scheme of things, is so unimportant, and really, no one will even notice once you’re done and no one will care. Guaranteed if you were to sell your house, the new owners would repaint it again anyway a different color, as all tastes are different. Along with all the good the Internet has bestowed us, there is also the flip side…agonizing choices and endless reviews of products that can lead to paralysis by analysis…many, many, many of those reviews are bogus anyway. My story…kinda long, and I hope not a bore. I just had my new house (which has not been updated since it was built around ’94 cape cod style) painted from head to toe professionally, 5000 sqft total. Including all trim and millwork, all windows and all doors which were still 90’s wood color, and all cabinets in the kitchen and bathrooms, and every square inch of wall and ceiling. Anyone wondering what this exercise cost? In my neck of the woods, Seattle area, it came to the tune of 25 large. Yes, it gave me a heart attack. I had no idea painting could be so costly, but it is the cabinets, windows and trim that go ka-ching$ and take a lot of time. Needless to say, the decision making process was a nightmare. But after a few weeks of obsessing and researching, and no previous decorating or paint experience, I got so tired of it, I just stopped cold turkey and decided to make everything white for my sanity.I thought by going white, I would eliminate decisions. HAHAHA (note: crazed laugh). I thought that I could always go in later to paint walls different colors as I grow into the house along with my choice of furnishings (which I don’t have the foggiest yet about how to do…HELP Laurel! I do so love the Swedish cottage style with a touch of Gustavian! ). I used only Ben. Moore paint due to the low VOC. Chantilly lace is the most clean white out of all hundred that I tried and/or researched. It is crisp, very white, and has no undertones (at least in the light of my house) and will go with any other wall color I may later decide to use. And, if I need to retouch any trim, I always know what color it is (cause, yes, we do forget!). It is cooler, but more modern looking because of it. And I like cooler colors anyway. I love it. All west and south facing rooms got White Dove. This color is beautiful and soft especially when the gold sun from south and west creep into the room. But it was too grey for my east and north facing rooms. But it is wonderful when in the right room and may be my favorite wall color. All north facing rooms got Simply White. 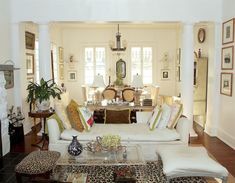 This color is also very white, but has a slight yellow tint (only when compared to real white can one see it), which is great in the blueish toned north facing rooms. So far so good and I love the above choices. Now the east facing rooms and kitchen, which is darker for most of the day, as we have a large veranda overhang, and has black granite counters and large island top, got Chantilly Lace for walls too. As my wall testing samples, showed this to be the best choice. I have to admit it looks good, but a touch cold. Especially since I have no rugs, or furniture yet, yet I wanted to stay really neutral and not have the particular white I chose clash with the black counter tops and natural maple floors. It looks striking now, black and white. My reasoning is that all color can be added with furnishings and wall hangings, curtains etc…, so that the wall colors just recede into the background. I carried the colors of pure black and white into the main entry way with large staircase. The walls, trims, stair risers, spindles are all Chantilly Lace, with shiny black handrails, black newel top, and black front door in gloss (like a piano)and huge black chandelier and nothing else. Master bath got all White Dove for cabinets and walls, as the counters and floors are white-grey marble. It looks splendid and the Chantilly would have been to hard for the marble. It looks gentle and soft, but still white. No worries. I don’t have any idea about Valspar. However, maybe make a little test sample first. Get a piece of cardboard. You’ll need two coats to make sure (unless you’re pos that you’re not seeing any cardboard underneath) and you’ll need 12 hours drying time in between. Then, you’ll need 12 more hours after the last coat because the color wet will not be the same color when dry. The color in oil usually darkens a bit when dry. Yes, often the clerks in the stores are very good for helping you select a palette of colors. Of course, some are better than others. I had to look up those colors because they aren’t familiar to me. I see that they are on the Williamsburg collection. I do have the fan deck, but quite frankly, between the two big ones, the infinity and the color stories, it’s already waaaay overkill! However, I try to keep an open mind and am happy to hear of successful colors. I’ll keep them in mind. Love the tone on tone with the Bruton White and Bone Black! Yes, I love those two as well. Well, in all honesty have actually never used Simply, but I love it on the chip and have heard nothing but good things. White Dove I love too, but with some colors can look just a tad gray. I have also heard a report or two that it looked a bit too yellow. (not my experience) However, in most applications, that slight gray is what makes it soft and yummy. I am a faithful reader of your blog and absolutely love it! I just saw the pretty photos of your living room. Do I recognize those pillows from the Lowell condo?? I am laughing my head off at the two of us staging that place! You are such a doll! Yes, those are the same pillows, or at least two of them. Can’t believe it’s been two years since we closed!